USB-ED offers a Gap-year Certificate in Entrepreneurship and Management that will be presented for the third time in 2013. It is aimed at school leavers who need time and support to orient themselves with regard to their career choices; students who have terminated their studies before completing a qualifation and are unsure about their future; and young graduates who want to create their own opportunities or move into corporate business. Although the content essentially remains the same, the programme undergoes continous development to ensure that young participants grow on a personal level. There are various organisations and business people that are willing to ‘plough back’ by allowing gap-year participants to job shadow. According to Walters, it is important for participants to investigate and experience the “world of responsibility”. In return, participating companies are exposed to a younger generation’s way of doing things. However, Schoeman says the goal is not to push these young people directly into business. Often they go on to further studies, or find ways to gain further experience. But the programme allows them to gain confidence and grow to a point where they are able to make an informed decision regarding their career paths. 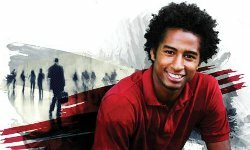 The Gap-year Certificate in Entrepreneurship and Management starts on 4 February 2013 in Stellenbosch. The closing date for applications is 21 January 2013. A limited number of participants will be admitted. For more information, visit www.usb-ed.com/gap or contact Charmaine Garcia at +27 (0)21 918 4488 or [email protected].